Egg! It may sound a little strange but it does something magical to the chocolate. 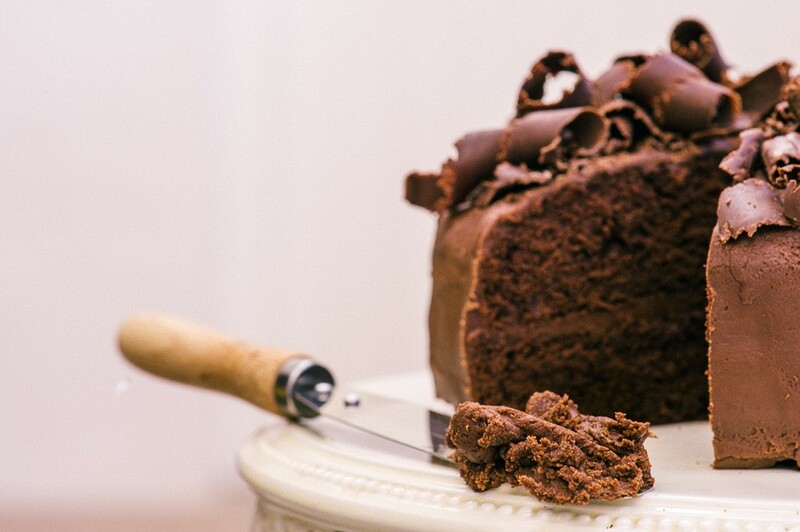 The fudgy texture doesn’t lend itself well to piping, but is absolutely perfect for spreading onto a classic chocolate cake, brownies or cupcakes. Melt the chocolate and butter together in a heatproof bowl over a pan of simmering water. Do not allow the hot water to touch the bowl or the mixture may burn. Allow to cool for about 15 minutes. The mixture must still be warm but not hot. Mix in the beaten egg. Beat very well. Lastly beat in the icing sugar until smooth. Allow to cool to room temperature (and no more or it will be hard to spread), then use to spread over your chocolate cake. *For a richer icing you can use half milk and half dark chocolate.